stone steps following Hebden water downstream. approximately 2 hours in total not including your stop off at the café. stony footpaths some of the way. walk is all on a good paths but they are quite uneven in several places. also toilets at Midgehole (20p). There is usually a mobile signal on this walk. by the old Scout hut. railway line that once ran up the valley. until you reach a wooden railed bridge over a clough. and follow the footpath along the river. Gibson Mill comes into view. grassy track and the path back to Blake Dean across the river. to the 906 bus stop to take you back to Hebden Bridge. 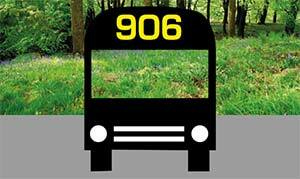 906 bus stop where you can take the bus back to Hebden Bridge.